A tough controversy came upon the students and staff of BHS. Do they prefer Dunkin Donuts or Starbucks? 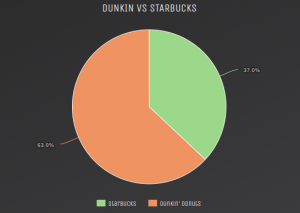 After asking exactly 100 people, it was found that the majority chose Dunkin Donuts.